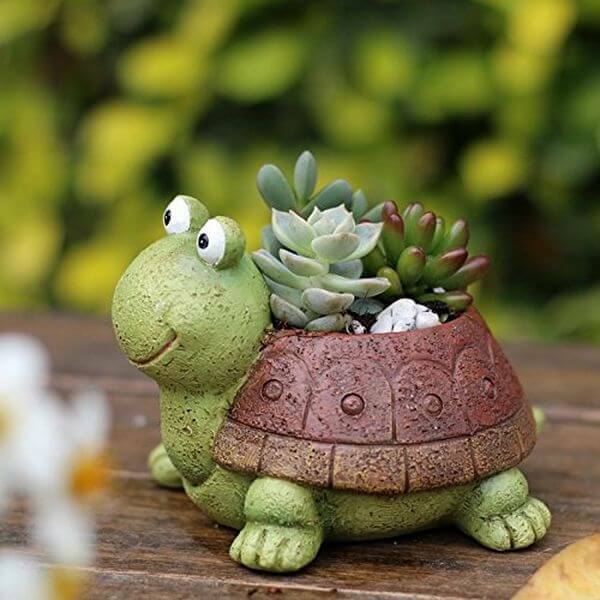 The Little Turtle Succulent Flower Pot is an adorable way to display mini succulents on a shelf, windowsill, table or desk. 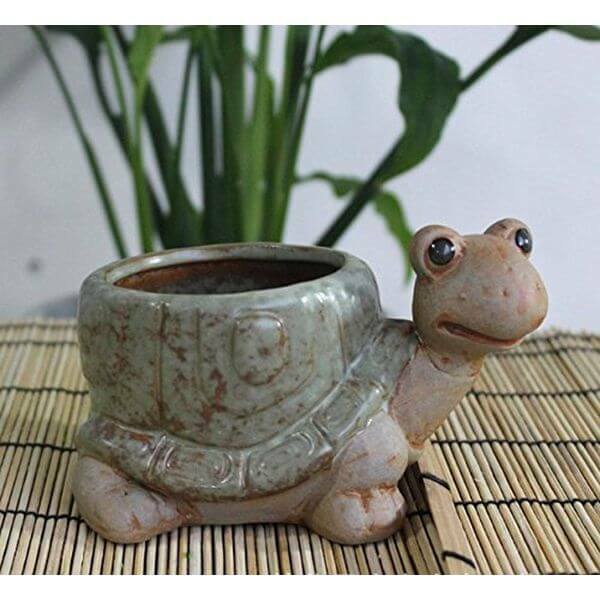 Crafted out of resin, the turtle has an opening in his shell for holding your plants and features an adorable face with big eyes and a sweet smile. 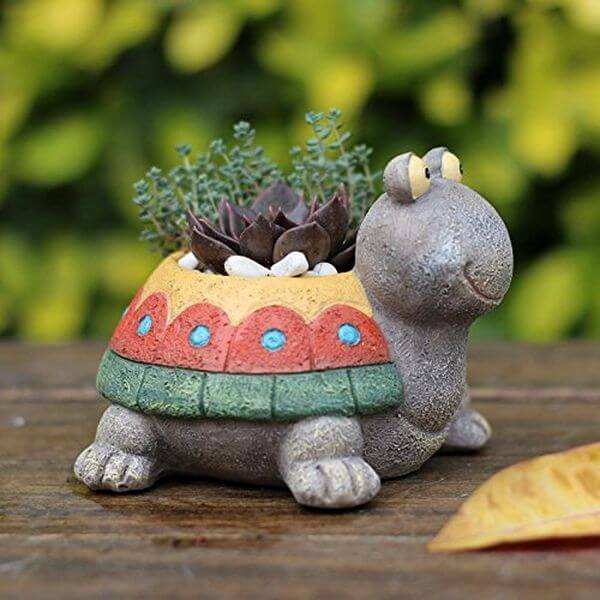 Whether you place the Cute Ceramic Turtle Flower Pot indoors or outdoors, this adorable turtle will show off your plants in a unique way. The planter is frost resistant for outdoor use in any season but its highly detailed design and soft colors make it a beautiful decoration for any interior. 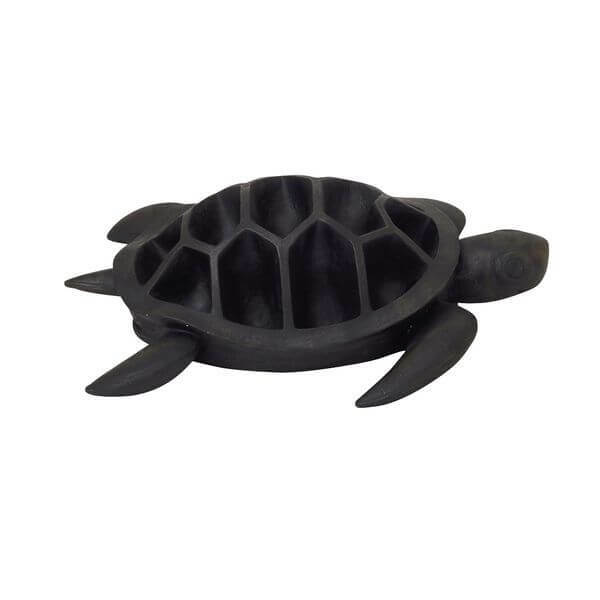 The colors of the southwest combine with an adorable turtle design to make the Little Turtle Succulent Flower Pot one of a kind. Ideal for mini succulents, the flower pot is made out of resin but is textured to resemble stone. The eyes are yellow to match the stripe on the shell, and touches of red, green and blue make the planter very colorful. 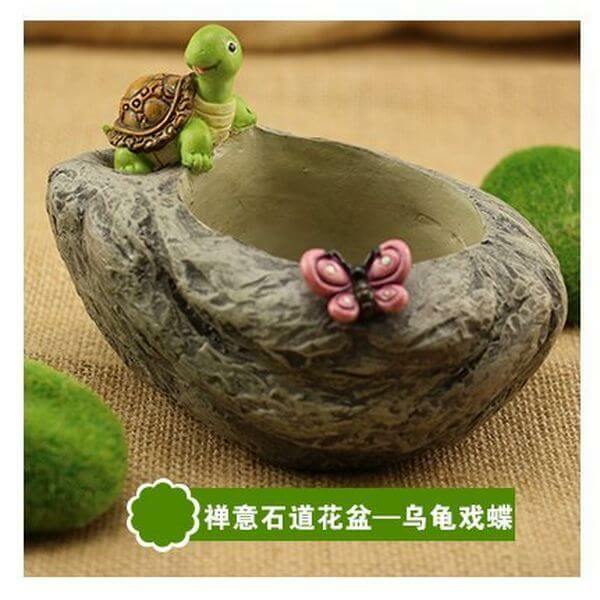 The Resin Stone Figurine with Turtle Flower Pot lets you make an outdoor scene out of a bonsai or another green plant. Fashioned out of resin, the planter looks like a large rock and has a petite pink butterfly and tiny green turtle perched on its top. The planter can be used indoors or outdoors. The Benzara Poly-Resin Turtle Flower Pot is a unique twist on the classic multi-sectioned planter, letting you separate herbs and other plants within compartments in a turtle’s shell. Premium resin material makes the planter resistant to wear and tear, and its black color allows it to look at home anywhere. 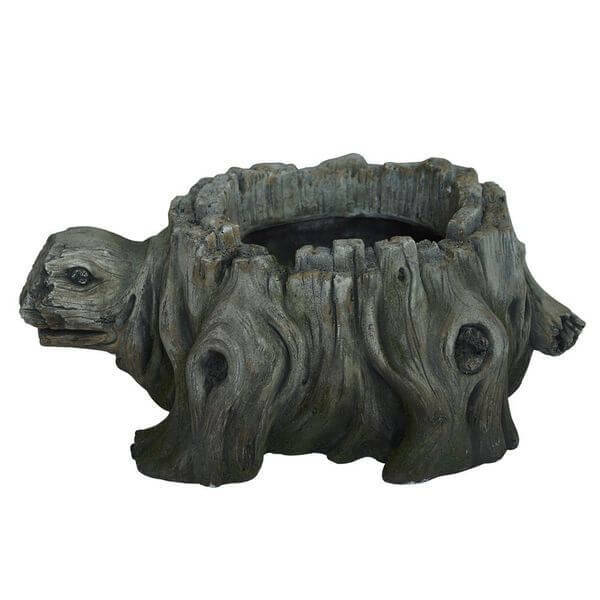 Everyone will marvel at the unique look of the Faux Carved Wood Turtle Planter. This whimsical decoration seems as if it were carved out of a piece of raw wood, but it is actually fabricated out of cast resin, so it will stand the test of time and is resistant to weather damage outdoors.